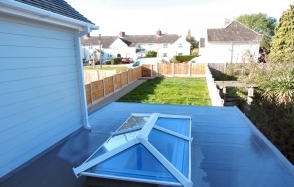 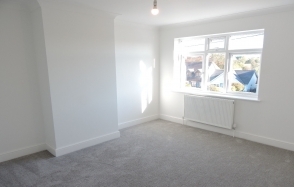 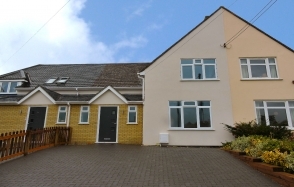 This property has been refurbished to a very high standard and with approximate room sizes the accommodation briefly comprises a UPVC double glazed entrance door leading into the entrance hall. A spacious hallway with a turning staircase to first floor, doors to the lounge and kitchen/breakfast room, cloakroom, ceiling light fittings, radiator and wood effect flooring that continues through the cloakroom and kitchen/living room. 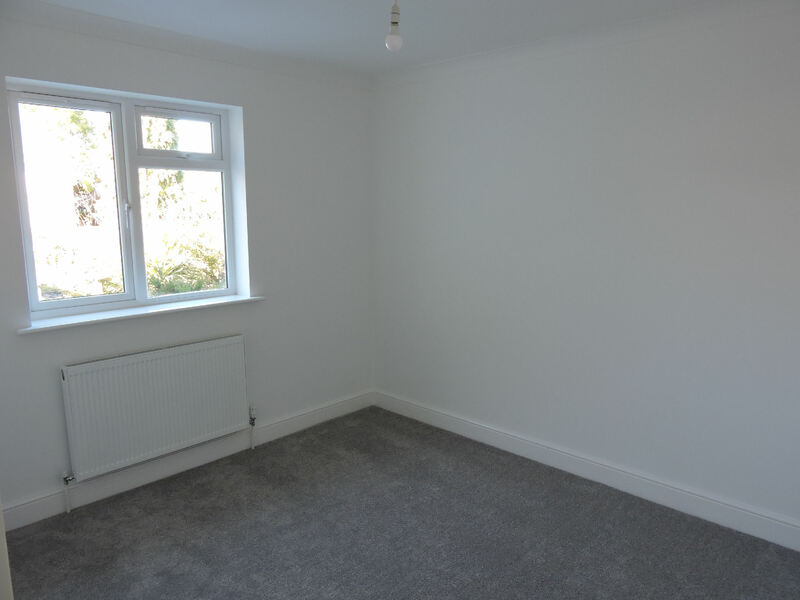 A white suite comprising low level WC, vanity unit with inset wash hand basin and cupboard under, radiator, wood effect flooring, inset ceiling spotlights, extractor fan and an obscure glazed window to the front. 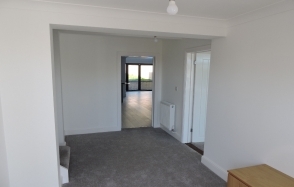 A lovely bright and airy front room, having a large double glazed picture window to the front elevation, radiator, feature open effect gas fire with marble hearth and surround, exposed timbers, power points and a ceiling light fitting. 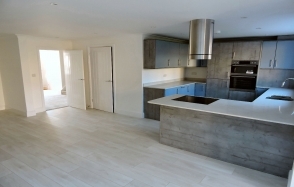 A fabulous kitchen/living room having wood effect flooring, sliding bi-fold doors to the rear elevation, ceiling light lantern, inset ceiling spotlights, brand new fully fitted kitchen comprising granite worktops that incorporate a stainless steel one and a half bowl sink with drainer cut into the granite, inset 4-ring halogen hob with a modern extractor tube over, built in double oven, a range of modern high gloss drawers and cupboards under, integrated dishwasher, space for fridge/freezer, complement of high gloss wall mounted cupboards, power points, radiators and a door to the utility room. 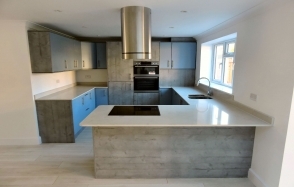 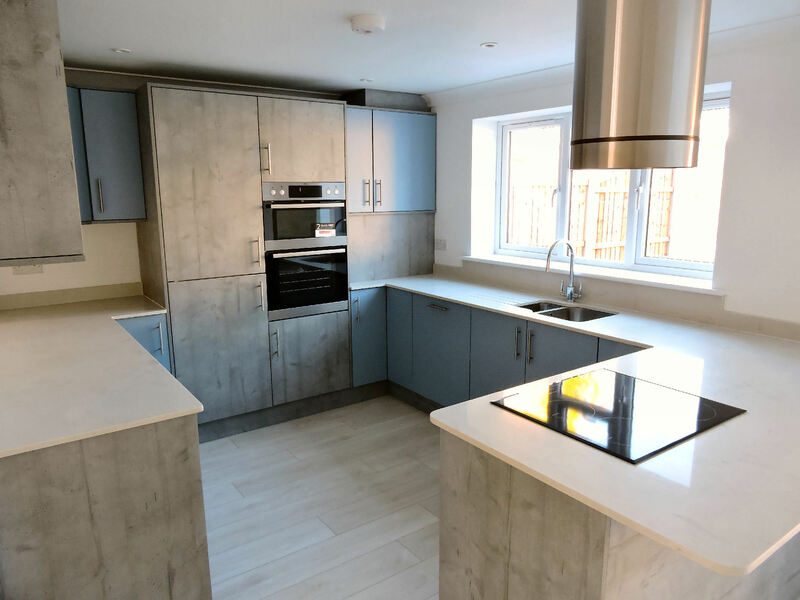 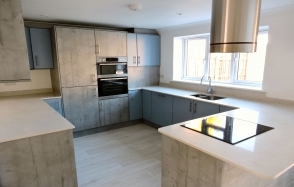 A practical room off the kitchen having granite worktops with inset stainless steel sink, a complement of matching drawers and cupboards to the kitchen, space for washing machine and tumble dryer, ceiling light fitting and ample power points. 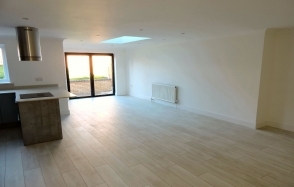 The spacious landing has doors to all bedrooms and the family bathroom, a ceiling light fitting and power points. 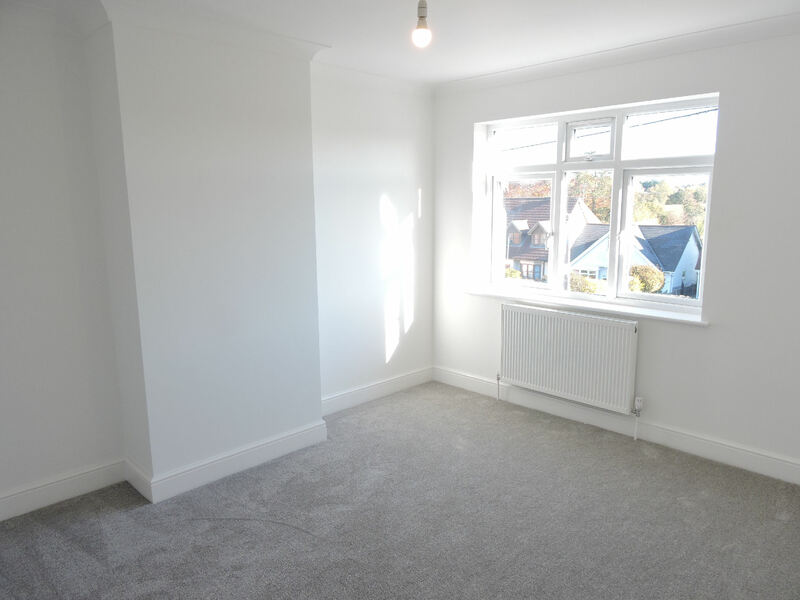 A double bedroom having a window to the rear elevation overlooking the garden, ceiling light fitting, radiator and power points. 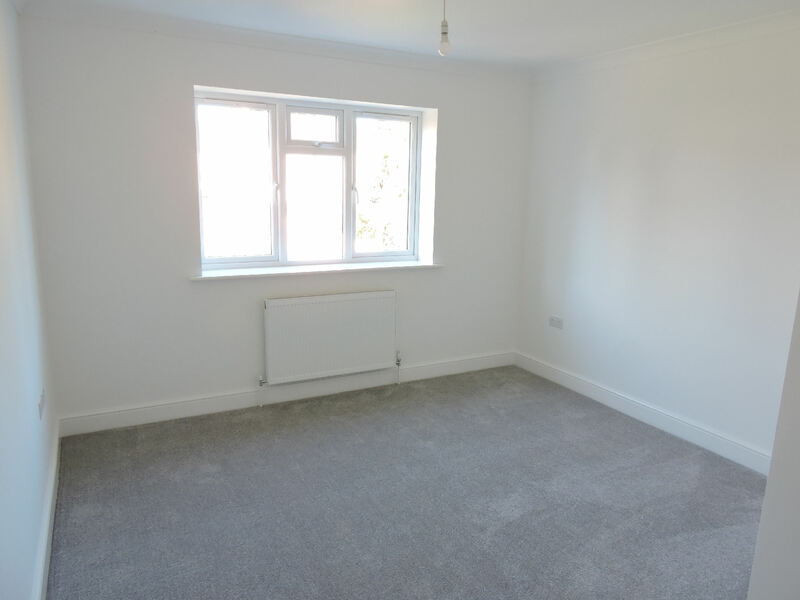 The master bedroom is a good size, bright and airy with a window to the front elevation, storage cupboard, ample power points, ceiling light fitting and radiator. 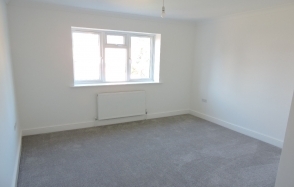 Further double bedroom to the rear with a window overlooking the garden, radiator and power points. 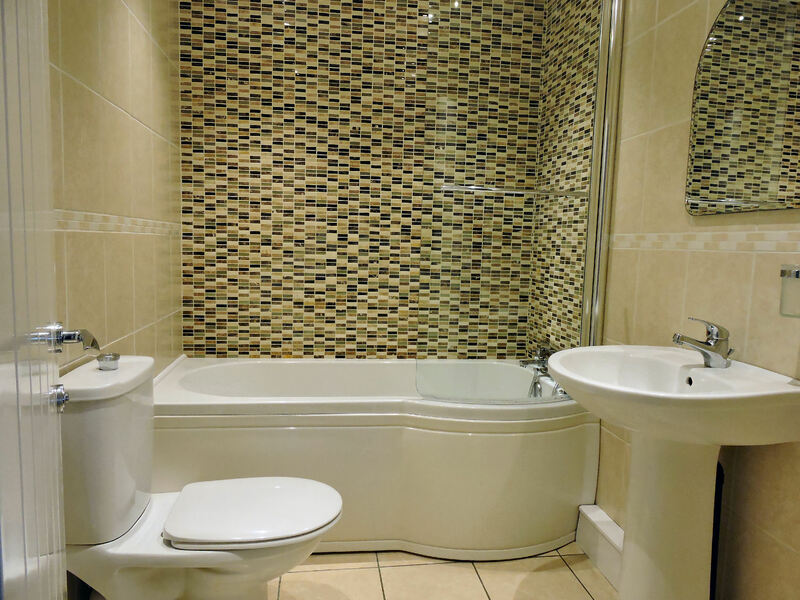 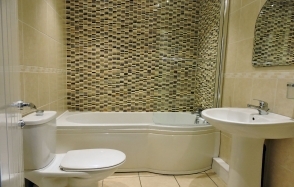 A white suite comprising low level WC, pedestal wash hand basin, panel enclosed bath with mixer tap and separate shower attachment and fitted power shower, inset ceiling spotlights and extractor fan. 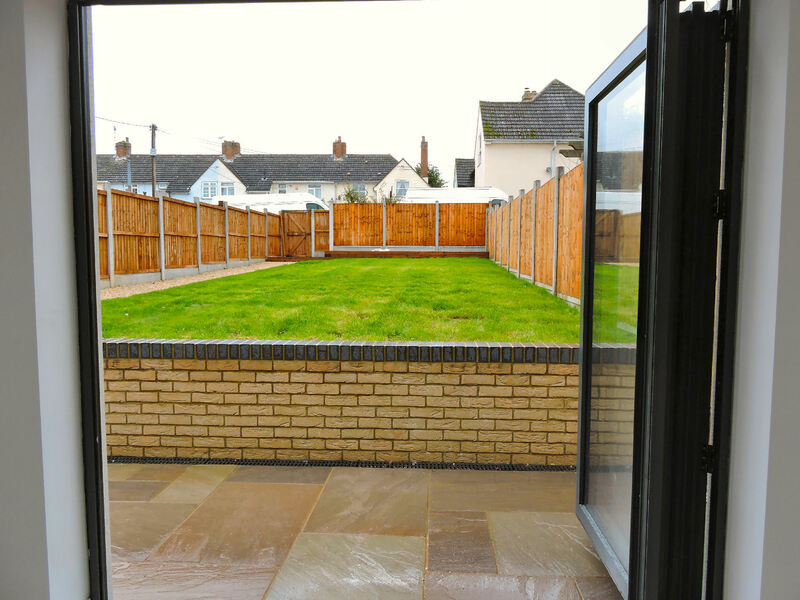 To the front of the property is a lovely large block paved drive providing off road parking for several cars, fenced side boundaries and a roadway to the side gives access to the rear garden which is mainly laid to lawn with a pathway to the patio seating area at the immediate rear, that can also be accessed from the kitchen. 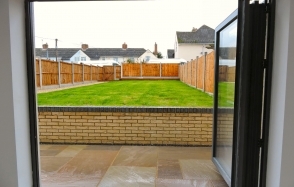 The boundaries are high panel enclosed fencing giving a sense of privacy and security.